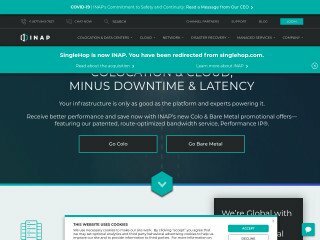 iPage, a well-known shared hosting provider, has been on the market for quite a while now, offering a unique focus on cheap web hosting with massive amounts of feature sets. On top of that, iPage also boasts 24/7 technical assistance to help you with any and all problems your website may encounter. iPage offers a great deal of flexibility, without overcomplicating things. With iPage you can be proud that the web servers hosting your website and e-mails are eco-friendly since all of their servers are powered by 100% wind energy! Here we are again with another in-depth web host analysis! Taking yet another look at an industry leading hosting provider with a big name and a whole load of features. Today’s offering is the ever-present iPage, a site we’ve been tracking for some time now, and have really been waiting to dive into. As such, we’re going to skip the lengthy introductions and instead simply crack open the nut where it sits. So if you’ve been wondering how good iPage really is when compared to other industry competitors, wait no more! Jump on down below the break to see our full review of iPage, including its feature sets, performance, and iPage user ratings. In case you haven’t heard of iPage.com before, let us be the first to give you the general rundown. 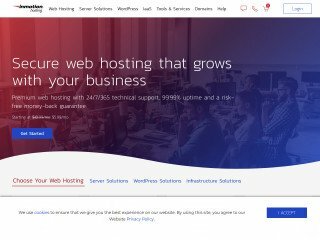 The shared web hosting provider has been on the market for quite a while now, offering a unique focus on cheap web hosting with massive amounts of feature sets. Their plans start at only $3.95 a month ,and arrive with an anytime money-back guarantee. We aren’t sure exactly how faithful they are to the claim of “anytime,” but it’s still better than any 30-day or 90-day plan we’ve seen arriving out of other shared hosting providers. When it comes to cheap web hosting, few names get chucked around quite as much as iPage does. The company has long been an industry leader when it comes to feature-rich, low-budget, and customer-service studded hosting experiences. The company has been pushing boundaries for more than a decade now, providing a unique focus on the consumer and their needs. As stated on the company’s about page, iPage knows “… web hosting and the typical hosting customer, which means we know there is NO typical hosting customer. That’s why iPage offers a great deal of flexibility, without overcomplicating things.” It’s a brilliant summary of the services and tone offered by the company, as their main goal is first and foremost to get the average Internet user online without much fuss, and with the best possible set of tools to ensure the success of their site. We noticed a few important areas in which iPage really set an example for the market, and it’s there that we’d like to start the review. First and foremost, iPage offers an unparalleled focus on the eMail side of web hosting. With all of the sites we’ve hosted over the years, we’ve never been more focused on any one aspect than we are with our eMail. It’s the lifeblood of our business, a fact iPage well understands. According to the company’s website, they perform thorough and studied tests of the eMail performance within their infrastructure, ensuring that each and every piece of mail arrives intact the moment it’s been transmitted. We can’t speak highly enough about this, as there’s nothing worse than losing a client’s necessary complaints to the Gods of Lost eMail. Additionally, iPage also appears to offer quite the focus on security, including active and daily malware scans designed to protect your data. This also includes spam scanning of your email, and domain verification to prevent fraud. All in all, they appear to know what they’re doing when it comes to initial customer peace of mind. On another note, iPage is one of the few hosting providers to have fully jumped onto the green hosting bandwagon. Their energy output is matched and exceeded by a rate of 200%. Additionally, the company also makes it easy for eCommerce users who sign with one of their hosting plans to advance and market their own green campaign. In essence, the company has proven its own eco-minded focus, and is now eager to share that focus with its users. However, all of this is paper-based speculation. Sure, iPage could say just about anything they want to get customers! So what sort of concrete packages does the hosting provider offer those who are willing to give them a test-drive? It’s a valid question, and one we’ll dive into right here, right now. Nine times out of ten, it seems the average user looking to get a place on the Web is in fact just that: The average user. Someone who wants to own a personal blog or other Internet enclave to which they can live out their Net-enabled dreams. iPage understands this desire to a T, and as such, has compiled an incredible list of features to help the user get their data online. This includes the simple creation of eye-catching HMTL eMail newsletters to spread the word about the personal site, as well as the intuitive creation of eMail lists. There’s also the option to track the success of your Internet campaign by way of included analytical tools. If you’re looking to start up a blog, iPage makes that easy, as well! They offer full support for popular softwares like Drupal and WordPress, allowing you to more simply create a place for your thoughts and favorites on the Web. To top it all off, you’ll also get site backups and restores in one, handy tool. This features costs an additional $13 a year, but at that price, it’s still quite the bargain for peace of mind. Earlier, we said nine times out of ten those looking to get onto the Web are interested in a personal website. And though we tend to think that’s true, we’d be willing to say another 50% are looking to found an Internet-based business—don’t ask us about the math, it was never our strong suit! However, no matter the idea behind the need, iPage offers just as good a business package as it does a consumer-based, personal one. Let’s hit-up the details below. First and foremost, if you’re looking to create an eCommerce or other such business site on the Web for the first time, you’re likely feeling a bit put-out where the design of your content is concerned. iPage understands the desire for ready-made content that’s custom-tailored to your needs, and as such, is offering a full suite of design and marketing tools. These run on a sliding scale basis, and are capable of covering just about any design need you may have. Don’t want to hire an expensive firm to take care of your site creation? Just use iPage, the same company that’s also willing to host and manage your media. As with the personal hosting plans, iPage also makes it easy for the business consumer to create, manage, and propagate eMail campaigns and marketing lists. This means you can easily reach your consumers where they are with special offers and promotional tools, as needed. 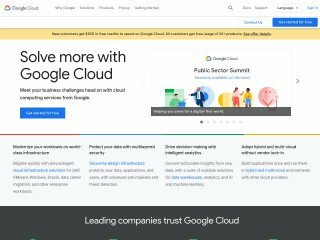 For the same $13 mentioned earlier, you can also add daily site backup and restore to your account, forever securing the uptime and presence of your Website on the Internet. Lastly, iPage offers a full bevy of tools and utilities aimed at the eCommerce user, wether or not they’re already using a business website account. For those not in the now, eCommerce simply means “online shopping cart,” or any other utility designed to help consumers sell and move products on the Web. iPage makes this complicated process simpler by first and foremost offering an entire suite of comprehensive tools. This starts with the easy addition of credit card payments through iPayment, and also includes a free shopping cart utility. Both of these streamline the process of creating an online store to the umpteenth degree, and as with the other two packages, site restore and backups are only $13 a year away. All in all, the iPage Marketplace appears to offer just about everything one could need to get a website up and running. Domain Services: iPage will register your domain, protect it with domain privacy utilities, or even transfer an old domain left at another provider. They also offer full support for subdomains, should you need to create a few under your main heading. And when it’s time to renew your lease, iPage will handle this automatically. eMail Services: In addition to the offers we’ve already covered, iPage will also provide you with full Microsoft Exchange support, should you desire it. There’s also mobile services support, in case you’re looking to take your Microsoft emailing experience on the go. You can also access your accounts with PoP. eCommerce Services: Looking to secure your site, raking in the hesitant customers with the sheer force of your site’s guarantee? No problem! iPage offers both QuickSSL Premium and Extended Validation SSL to handle your certification needs. Scripting and Site Add-Ons: Need more storage further down the road? No problem! iPage allows you to upgrade your bandwidth and disc space and any point in time, without hassle. Marketing Services: This is a big one, so stick with us. As we’ve already mentioned, iPage will handle the design and marketing of your website, should you wish to not tackle these things yourself. However, the provider will also search engine optimize your site, whether they’ve created or not. Additionally, they’ll give you $75 USD in Google AdWord’s credit, submit your site to local searches, provide you with a fair amount of Yahoo search credits, and help you get your venue up on YellowPages. They even offer content distribution options for those needing to expand into other markets in a hurry. Just to recap, so far we’ve looked at a few of the ways in which iPage is prepared to get you online quickly through the use of various packages and services. These have all been pretty cool, but if you’ve been in the business long, we’re willing to bet you’re somewhat anxious to hear about the actual plans themselves. We understand your pain, Cowboy, and we have no intention of keeping you at bay any longer. To see the full specs and run-through on iPage’s hosting plans, check below just beyond the break. Believe it or not, iPage actually offers quite a few unique hosting plans. Again, their model tends to look a bit more like FatCow’s, allowing users to pick the basic plan that meets their needs, and then add services on top of that. And the most basic of plans is of course the iPage Essential Plan, or personal shared hosting option. How low is the price on this bad boy? Unbelievably low if you ask us! For only $3.50 a month, you can enjoy all of the features iPage is offering and then some. What are those features? you might be asking. Well, to kick things off, iPage will give you unlimited disc space, transfer and bandwidth, domains, and even MySQL databases just for signing up. That’s not that big of a deal though, as it seems like every shared hosting provider and their grandmother is providing unmetered accounts these days. So what else is here? 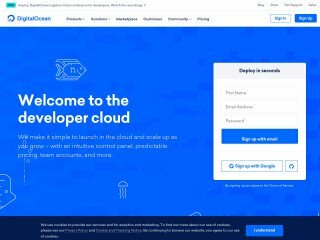 With each shared personal hosting account, you’ll also get a free drag-and-drop site builder, literally hundreds of site templates, a personalized domain name for free, and even a blogging set-up wizard to get your solipsistic Web journal live quicker. As we’ve said already, you’ll also benefit from a whole load of Google AdWords credits, as well as free listing on local search sites. eMail accounts are pretty full too, offering unlimited emails listed as you@yourdomain.com. You’ll also enjoy email forwarding, auto responders, customizable spam filters, and virus checking. And again, we feel we should mention that by signing with iPage, you’ll be getting all of this at less than the single cost of a Starbucks latte per month—it’s almost too good to be true. Do you feel like you’re just not quite ready for the full commitment of a dedicated site? Do you not care about additional features like marketing campaigns, email lists, or even drag-and-drop site builders? If so, iPage is ready to hit you with a plan of your own. The company doesn’t just offer personal hosting, but blogging-based hosting as well. The best way to think about this is package is as a streamlined edition of the plan we previously mentioned. At only $25 a year, you’ll get a free domain name, your choice of popular blogging softwares, a full load of photo gallery software, and even 10 eMail accounts to communicate with the world. You’ll also get a few extras, such as enhanced security utilities, a SubmitNet listing for SEO purposes, and of course, support for blogging tools like WordPress and Drupal. All in all, $25 a year is a brilliant way to get online with a blog without ponying up the money for an expensive and dedicated hosting plan. But what if you want to do just the opposite? What if you’ve been running websites for a while now, and are completely ready to bite the bullet and jump into the game yourself? If you’ve been considering becoming a web hosting reseller, iPage is ready to help you do so. In fact, iPage offers simply one of the best packages we’ve seen in terms of reselling value anywhere. And at $49.95 a year, it’s really quite the bargain, too. iPage has dubbed their reseller program the WholesalePlus Program, and we have to admit that wholesale is the best way to think about it. each account comes with a robust suite of marketing and management tools, giving you the maximum amount of control over the chunk of server you’re leasing. You’ll also get full access to iPage’s technical support to help iron out those issues that creep up, as well as one of the industry’s most powerful reseller consoles. 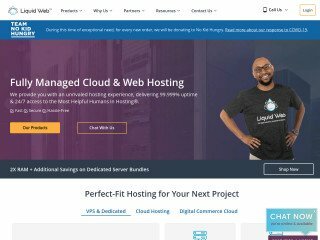 Add to this a private name server, as well as a 30-day money back guarantee, and you’re looking at a very solid reseller hosting experience—especially where price is concerned. Last on the list, we’ll be exploring the customer service experience offered by the company. If you’ve ever had your website hosted before, you’re likely familiar with the fact that things just inevitably break. We have never had a truly flawless shared hosting experience, and we don’t expect to, either. As such, there’s really almost nothing quite as important as a company’s technical assistance and support. So what’s iPage packing under the hood? First and foremost, you’re more than welcome to reach an iPage representative at any time, whether you choose to do so through traditional telephone lines, or by way of live chat. The company is around 24/7, and promises to respond quickly and efficiently to any requests. If you’d like to talk about sales, feel free to go ahead and give them a call now: Their number is 877-472-4399. Want to ask for support for your existing iPage account? Call 877-472-4399. However, the support iPage offers isn’t just limited to human interaction. The company also boasts one of the largest and most comprehensive community-driven resources we’ve ever seen. First and foremost, you can check the knowledge base for any common problems you may encounter during your hosting experience. Secondly, there’s general website help and domain help to pick through, as well as help on email. All of these offer robust and detailed articles either explaining common mistakes, or providing immediate ways to troubleshoot and fix your site’s errors. The iPage Help center is located at http://www.ipage.com/support/. iPage has been pumping out cheap and incredibly efficient web hosting for a long time now, and during that span of years, they’ve managed to wrack up quite a number of awards. However, just because a web hosting provider is award-studded does not mean it’s still worth the hype. With that in mind, below you’ll find the sum total compendium of some of the harshest and most common complaints we’ve received from our readers about iPage. We won’t sugar coat things, and if you’re here to cut through the straight bull, you’re in the right place. Errant Charges: Sadly, this is something we see a lot of with cheap shared hosting. It appears that iPage too has fallen into the trap of accidentally charging its customers more than they bargained for, or in a lot of cases, multiple times for the same services. Even worse, it appears that in some cases iPage was even unwilling to work things out or refund the charges with its customers. If true, and we have no reason to believe it isn’t, that’s quite a blow to a seemingly alright package! Rampant Charging for Software: In another saddening turn of events, it also appears that iPage is charging customers inordinate amounts of money for services that simply do not cost a lot. For example, we’re hearing reports that Weebly’s Premium Services are being sold at $10 a month instead of the standard $4. American Support? We are all for a global village (in fact, we’re likely one of its biggest supporters) but we do take issue with iPage’s claim to being an American technical support company. Apparently, and we’ve verified this via live chat, the company’s call centers and help locations are actually located in Bangalore, India. Ordinarily, we wouldn’t have a problem with this, but the fact that they’ve advertised themselves as something else is troubling, if not completely misleading. Spelling: A slightly more humorous complaint rising out of the masses, it appears the live chat tech support representatives have had quite a lot of trouble spelling words. Annoying as this may be, we don’t yet think it’s a deal breaker for the whole package, though. General Lack in Knowledge: However, we are also seeing reports that the tech support reps for iPage have on more than one occasion failed to produce a resolution to a server problem or error that requires fixing. This, of course, is much more disturbing, as not having a functioning website is simply not acceptable. You Get What You Pay For: In an almost all-around sense, we’re getting reports that, where speed is concerned, users are feeling as if they’ve bought a lackluster product. For starters, it appears the company’s emailing client is incredibly slow, even with top-notch computer hardware on the user’s end. Likewise, we’re also getting reports that the server itself is usually quite slow, and typically doesn’t provide the sort of performance we look for in a quality web host. Up-times? Lastly, it appears that the server’s general up-time is mostly lacking, as well. This is even more disturbing, as a site that doesn’t appear when called for is hardly a site at all. Perhaps iPage isn’t such a great bargain after all? General Software Malaise: It appears that iPage has been somewhat lax in its creation of web software, as we’re getting reports from several users that such items as Drupal and Joomla are simply not performing well. This is one of those broad complaints that is likely true, but still could stem from any number of issues. So there you have it! After all the data has been pulled together, it really looks as though iPage may not be the bargain offering we’d hoped for. Still, as with any web host, you can decide for yourself. However, we would suggest you use our vast amount of user reviews to weight your decision carefully. Others have been there before—and occasionally suffered as well—allowing you to benefit from their misfortunes. We’d suggest you best make use of it! We’ve looked at all of the features, all of the plans, all of the services, and even at some of the technical support offered by iPage. However, we have yet to talk about the final word: The customer reviews and roundups. According to the company’s testimonials page, iPage appears to be cleaning up across the board. Their technical support has been lauded as some of the best in the business, while users also appear to enjoy the stellar service. iPage has also received a lot of attention for its green initiative. As such, we’re willing to call iPage perhaps a company worth looking into for your next shared hosting experience. However, we can never be sure. Taking a look at some of our iPage customer reviews, it appears iPage may have some serious problems to work out. It appears the unlimited plan may not be quite as limitless as so many of our readers had hoped, while technical support runs the gambit from being applauded right down to being blamed as perhaps the worst in the industry. We’re also seeing reports that the company has had troubles processing payments, accidentally charging their customers incorrectly: An aspect that’s an heavy dealbreaker for us. All in all, just be safe with your web hosting decision, consider some of the other heavyweight contenders we tend to favor, like Web Hosting Hub, InMotion Hosting or FatCow. All of them offer similar benefits, prices, and features, and though they tend to have their detractors too, we’ve got solid experience with them. However, if you do decide to sign with iPage, let us know how the experience goes ! Tell us if you love them, hate them, or just haven’t got an opinion yet. We’ll, of course, be willing to share your pain or joy with others. Ipage is so user-friendly, have a reliable tech support team that helps instantly, and also have the best hosting packages. I have used iPage for years, but recently their service and support has been terrible. Within the last month, my website has been down twice, for over 24 hours each time due to incompetence on their part. The first time they over-wrote my database with a version that was 6 months old - losing all data for the last 6 months. The second time, Python code that had been working for years just stopped working. For some reason on their end, the connection between Python and their database just stopped working. On top of this, their customer service has been very slow and unresponsive. Be careful. I was hosting a private blog and must have missed the fine print. I was being billed for one site about $50 or so each June for two years. Then on year 3, I received a bill for $417!! I called to inquire about the cost and received no reasonable explanation so I canceled the account. The customer service associate did not inform me that I would no longer have access to my files so I followed up with them to try and get a copy of my site files. They required me to pay for a new account, and also pay for a $100 dollar file transfer fee. I subsequently downloaded my files and immediately canceled the account. I just hosted another blog with them, you can check the speed and the power of servers by visiting my blog, it is really great and the speed metric shows how powerful iPage servers are. I know that it is not the best hosting provider, but the price you pay and the resources you get makes it unique. Ipage is now farming out their customer service oversees, follow through is poor, so response to recent ongoing issue which resulted in lost pages which took some time to build and paid $36 for back up plan. HACKED IMMEDIATELY! DO NOT USE! This company is the biggest rip off hosting service you will find. I tried there service, and after trying it I made sure I marked it not to renew the hosting services as well as the domain names and I forgot about it never using it again. Then what happen next shocked me!! They renewed it anyway without my permission. I tried disputing it with my financial institution, but they still charged me. Then what happen next was even more shocking. iPage disabled my access to my hosting because I disputed the charge . So, I was charged for 4 months worth of service I didn't get or use then they only offered me a partial refund of the money they was not suppose to take in the first place and said they was still going to charge me for the 4 months where I had no access to my hosting service. This company is the biggest crooks in the business. Don't use there service unless you want to be cheated too. After managing several web sites on iPage over the last five years, I have finally decided to move my business. The customer service is inadequate with long wait times by telephone and chat. The system has multiple failures with creating and managing accounts. Finally, the billing practices are intended to maximize charges with deceptive strategies. For example, the extra services are billed despite turning them off multiple times in the control panel. My advice is to stay away from iPage. I got a reminder from iPage that the new billing year was coming, and I could cancel within, I believe, 10 days. I cancelled on time. In Live Chat, which seemed to be their preferred way of communicating. (Note: I had not touched my empty site in at least a year, and in fact thought I had cancelled it one year earlier already, but I am not 100% sure of it. I've since read that they do sometimes just keep charging when you have cancelled, so I'm suspicious about it.) But suddenly, they had taken more than 300 euros out of my account anyway. I got back in touch with them, and they denied the Live Chat ever happened. If only I had thought to make a copy of it - but why would I have? It didn't occur to me for a moment that they could not be trusted. So this is my first belly ache point (yes, I get belly aches about this, it is simple thuggery.) They must have a record of my Live Chat, so they are outright lying it didn't happen. Well, I got back in touch with them countless times via email, support ticket, live chat, and finally the phone. It was exhausting. Different people tell you different things all the time, and I was about to give up, even though I needed that money, which had just been taken out of my account illegally. Finally I phoned (bit expensive from my country.) I got a very nice young man on the line, and he promised me he would make it alright, in fact he was away for a while and then told me he had already set the refund in motion. I was so relieved! And I could finally buy something I had really needed to buy. Then a few days later I get an email from them saying the refund wasn't happening because I...hadn't cancelled in time. (Yes I had, and in any case I had now been promised the money was on its way.) This has cost me a lot of time and energy, and even some extra money for the long international call. Also, I already spent the money due to me... I am extremely angry. They are supposed to be a friendly hosting provider, but they take your money away, just because they can. And they lied about not having a record of my live chat. As far as I'm concerned, iPage are thugs. Your money is not save with them. Just because they can take money out of your account whenever they want to (yes, they can, because you gave them your banking information), they do it. So - good luck signing up with a company who will take money out of your account (I've seen in other reviews that my case is not even nearly exceptional) and there's nothing you can do, because starting up a legal procedure would cost you, plus if they just say they don't have a live chat account...well... If I were you, I'd go with a safer, and pleasant company, not thieves. Hi A . My name is Supriya. Welcome to Chat Support, how are you today? A could you forward this to your coleague?  Technical assistance: Website layout/display issues many of the files are missing V Vaibhav joined V Hello A. I am Vaibhav. Welcome to Chat Support, how are you today? A not so great many files are missing V Don't worry I will help you A and many pages do not work V Before we proceed, Please answer the Security Questions set for your account. Who was your childhood hero? A let's hope so ---- V Thank you for authenticating Are you getting forbidden error? A yes and the files are missing i had a html and jpg inside each one like this one for example : .... example V Do you have backup of those files? did you try to make any changes? A no i do not, and it took me 2 days to make the pictures and upload the htmls V Could you please be on hold while I look into this for you? I should have some more information regarding your issue in 3-4 minutes. I'll get back to as quickly as I can. S Sure, I will check this for you. I am sorry, the agent is not available. May I know the issue your having? A did you read the text above? S Yes, May I know the folder name? A there are many folders that have the same problem missing files for example brevete bunloc, webb, fatw, bizrank many many S Sure, I will check this for you. To protect your account from unauthorized changes, can you please verify for me the answer to the Security Question: Who was your childhood hero? A ----- .. S Thank you for the authentication. Can you please provide the file location in File Manager, in which files where missing? A link is the folder name one of those that miss the files but i don't know how to get the link S Okay, I will check. May I know when the files where missing? A thinking everything works fine i did not check in a while, and i have no way of knowing they are just a simple html displaying an image for example like on this one ..... or......io but it took me 2 days to make the 100+ images and modify/upload the htmls on your server so i opened my hostig account with you guys and few monts later i uploaded the html and jpg on each folder since then i did not modify them so if you find a backup few month old should be good S May I know the date when the files where present? So that we can check for the bcakup? A around may 2016 but i am not sure S I am sorry, but we have only 14 days backup in the server. A sorry 20 may 2017 wow and ? why are the files missing? S We have only 14 days oldest backup in the server. A why are the files missing? S I am not sure, I will check with the technical specialist. May I place you on hold for 3 to 6 minutes, while I check this for you? A wow you guys.. my files are missing and you ask my permission for waiting 5 minutes? what service are you offering exactly? i do not want you to be polite with me i need my files back(the ones that you lost ) that is all i need if you want to help stop being polite and put the files back S Sure, I will check with the specialist about the files. Need to place ticket to get the backup of the files and folder in the File manager. Shall I place the ticket? A did you find out why the files are missing? i asked a question you did not reply S I am not sure, Need to place ticket about the backup and reason for the missing of flies. A what backup are you referring the 14 days old? i do not need that back-up i need my files what if this isshue you are having took place more than 14 days ago? S Yes, It will be restored to the File Manager. A and the back-up will not have the files on it? what then? S The missing files will be restored back to the File manager. A i am sorry i do not understand you said the backup is 14 days old what if that does not contain my files? what if the issue is older than 14 days and the files have been missing from 15 days? will i get them back? S We will get to know after the ticket is placed, the specialist will check in the server if the files are present . A you are not trying to help me you are trying to get the conversation ended great job great support i will copy this conversation thank you for you "help " after that she opened a empty support ticket where i have to explain again the problem just to find out the files are missing for more than 14 days ago. Dear All, we are suffering with iPage support,, is any company in this world closes support for their company, HOLD on, there is one company i.e., iPAGE.com website. How pains we are suffering with, we only know about it. Others never even imagine. What ever the contact required with IPage team, we should be stand hours together at their CHAT Box.. can any body please contact them to make it right. Ipage support is pathetic and insulting. They advertise support for Squirrlmail webmail but must be over provisioning it because they want people to switch to another brand that does not work as well. Customers can no longer open support tickets or even reopen support tickets. Their answer to the sluggishness of their webmail is to switch to a different client and then they close the ticket. Ipage has fallen from what it used to be. Another example of an ISP being bought out and then turned into trash. They limit the server resources and block the site without warning if your site is active. They set the permissoin 000 to your index.php When I returned permission 0777 every day, the support at all removed access to my files, changed the FTP password so I could not get my files. They do everything so that you are not their client if your site becomes popular. They are an outdated service with awful support, and frequent issues updating DNS records. I would avoid them like the plague and opt for more modern services. Support has no power, and their advice is often wrong and may conflict with ipage's knowledge base. IPAGE IS THE WORST HOST EVER!!!!!! Ipage are useless, when I just had hosting and barely use it, simple site, basic HTML, fine it worked, now that I am running a forum it is the worst hosting i've ever witnessed, their incompetent staff are useless, they don't actually fix anything, just write up a ticket, close it immediately and apologise profusely but don't actually mean it. The worst issue I have had was recently they "mistakenly" added a domain to my account, not mine someone else's, since their epic screw up I have received 3-4 calls a day from scamming "marketing" companies wishing to help me with my new domain, I now have to get a new phone number, this one I've had for 4 yeas, it is the backbone of my business, and now I have to get a new one because some "tech support master" couldn't realise they were adding a domain to the wrong account, no apologies, no real ones anyway, all I get is 2 months more of hosting with these incompetent idiots, stay away, avoid them at all costs, they will sell your info to anyone who wants it, they don't care about your business, they don't care about anything except keeping clients signed up to their ridiculous excuse of a hosting service. Now to be fair, I've had ipage hosting a WordPress site for a little over a year now, the site is still a work in progress, so nothing really is going on. That said however, over the last year my Jetpack app which monitors my site and site health has alerted me "numerous" times that my site was slow to load or more often, not loading at all. So, I shudder to think what kind of business is getting screwed up or lost in the midst of all the problems were the site fully operational. Today, I tried logging into my site and received an Error Code, tried a bit later, same thing. Suffice to say, "I think we're done here". I have had a site with Ipage for 8-9 months. I ran into a plugin upgrade that required cURL upgrade to 7.34+. Ipage refused to transfer me to a shared platform that the users were already at cURL 7.34+ or upgrade my server to the minimum of cURL 7.34+. Btw, the current version is cURL 7.54 and the version Ipage is using is SIX YEARS old cURL 7.22. Their only solution was to upgrade the server to VPS at twice the price. They have 505,000+ customers I wonder how many of them are happy??? Do not use Ipage if you can help it. I have 4 sites hosted with iPage. Currently, 3 of them are down because of "malware scans." All three of these sites were taken offline in the span of a couple of weeks, even though they had been up for years with no problem. It feels like extortion, because they want you to pay Sitelock to "fix" your site. Trust me, choose another host. If you design your own site and upload to iPage you will have issues. I use Mozilla Firefox as a browser and it's not compatible with iPage. They insisted I change to Chrome. Basic links like mailto: will not work on iPage. When I informed them of this they said they couldn't help because my site had been designed by a 3rd party. You can't submit an issue by email and receive a confirmation number. And finally, because they also recommended I change my domain to iPage I can't post it with another provider for two months. (An Internet rule that needs to be changed) I do not recommend this provider. Ipage is a bad untrowsthy company. I had problems from the beginning, they kept saying all these things and made me get additional add on to fix the website. And it never fix, the customer service is from india and there people who don't speak english, and for me to say that cause i am billingual is awful. They don't know what there doing, I've spent 180 dollars and nothing works, and they wont give me my money back. The domain and host don't work. They took my money. This was a worse experience i could ever experience. Ive tried talking to supervisor or higher up and they wont let me. Hi. Thanks for checking out this WebHostingGeeks video review. Visit our website, at WebHostingGeeks.com to see more reviews, and to get the latest information on all the top web hosting services. Today, I’m reviewing iPage Hosting. iPage Hosting was founded in 1998 in Burlington MA as a web services company, and reborn as a full-service hosting provider in 2009. A year later, they joined the stable of respected hosting giant Endurance International Group. Endurance owns more than 60 brands in the hosting space, including the popular HostGator, Bluehost and Fatcow, and manage they over 10 million domains for more than 3.7 million subscribers. iPage is one of their most popular sites, with more than 1 million domains under management. iPage has two datacentres near Boston MA, with domain registrations handled by Toronto-based Tucows. Like most hosts, iPage offers a range of VPS and dedicated hosting products. However, they specialize in shared hosting for personal and business use, with a plan they call “iPage Essential”. Frankly, the iPage Essential Plan offers a lot of features for one of lowest hosting prices out there. Most of these features aren’t unique to iPage—things like unlimited website storage, data transfers and emails; free domain registration and a money-back guarantee—lots of other hosts offer these. But few of them also give you unlimited domains and databases for the entry-level price that iPage charges. There are no set limits on the disk space or amount of data you can transfer with their shared hosting plans. However, they do require you to stick to their Terms of Service, and only use disk space and bandwidth for the normal operation of your personal or small business website. That means no storage or sharing of files that aren’t regularly accessed through your website, and no excessively high bandwidth usage. These usage guidelines are fairly standard in the hosting world, and they accommodate more than 99.9% of personal and small business users. If you think you’re going to need more than this, then you should consider one of iPage’s VPS or Dedicated plans. iPage lets you create unlimited email accounts, with each mailbox holding up to 500MB of data or 10,000 messages. You get full-featured mail services that include mail forwarding, autoresponders, spam filtering and malware checking. With the iPage Essential plan, you get access to online marketing guides and credits that you can use with the web’s major advertising carriers, including Google, Yahoo, Bing, Facebook and Yellow Pages. The dollar amounts shown here may be current, so check the terms and conditions for details. If you’re interested in selling online, iPage can help you set up your online store. You have a choice of shopping carts that integrate with PayPal, and you can take advantage of their shared SSL for secure transactions. iPage makes it pretty easy to do the job you came to them for in the first place – that is, hosting a website. Your first domain registration is free for one year, then $15 per year to renew. If you don’t want to create a new domain, you can easily transfer one you already own. And iPage provides wizards and tools that help you turn that raw domain into a finished blog or website. First is WebSite Creator, from a company called CM4all. It’s an easy-to-use WYSIWYG tool that helps you build a website right from your browser. With over 100 templates available, this can be a great way to get started with your first site. You should know that WebSiteCreator lets you build one site with 9 pages for free. A licence for more sites starts at $4.95/month. iPage also offers the Weebly Drag and Drop Website Builder that you can use to build unlimited sites. The only issue with drag and drop builders like these is that, if you ever decide to leave iPage, your website won’t transfer to another hosting company unless they use the same tools. If you want your sites to be portable, we suggest building them with WordPress or any other popular content management system, (like Joomla or Drupal) so you can transfer them easily between hosting companies. As well as the drag-and-drop builders, iPage supports editors such as FrontPage and SiteDelux, and more apps from MOJO Marketplace, that lets you select a template to get your website started. In fact, there are nearly a hundred apps that install with just one click from MOJO Marketplace, including the popular ones like Drupal, Zenphoto, PrestaShop, LimeSurvey and WordPress. WordPress gets special treatment with two plans of its own: WordPress Starter and WordPress Essential. Both let you choose a theme for your blogsite from a hand-picked selection of built-in themes with all the necessary WordPress plugins already installed. Both Starter and Essential let you register your new domain free for the first year. Essential adds high-speed caching, a deluxe security bundle, and expert, personalized WordPress support. iPage backs up their server farms daily to allow disaster recovery and they strongly advise customers to manage their own website backups. Personally, I would purchase a little peace of mind with their automated backup and restore service for about $1 a month. You can also add identity theft protection and malware scanning, with their SiteLock security package for another $2 a month on a 3-year term. Other add-ons include Private domain hosting. For an extra $10 on your domain registration fee, this is a highly recommended service that prevents anyone from getting your private contact information from the domain registrar. Finally, iPage is a green service provider. The company buys Renewable Energy Certificates to offset approximately 200% of its energy consumption. This means that, effectively, your website and all its services are wind-powered. Should you choose to use it, iPage provides a badge you can put on your site that links to their green certificate. If you want to find out more about most of these features, just go to www.iPage.com and hover over any of these question marks, or click Help, and browse the Knowledgebase. Before we look at the purchase process, I need to mention the iPage Anytime, money-back guarantee. If you cancel your account within the first 30 days, for any reason, iPage will refund all the hosting charges you’ve paid, but not the charges for other services, such as SiteLock or Domain privacy for example. And if you’ve also paid for a domain name, it’s yours to keep, and they don’t refund the registration fee. iPage states their guarantee applies “anytime”, not just in the first 30 days, but read the fine print. Their User Agreement says that, if you decide to leave iPage after the first 30 days, they will charge you the full amount for the current month, and refund just the remaining hosting charges. They may still charge for any other services you’ve ordered, right to the end of your contract term, as well as a minimum $35 early cancellation fee. So how easy is it to sign up for an iPage hosting plan? Like most hosting sites out there, they make it a simple, 5-minute process to create a domain, select and configure a hosting plan, and provide your payment info. Why don’t we do that now, and you can see where they offer you many of the things we’ve been talking about. Now let’s talk about performance. Stats collected from a variety of measuring sources indicate that iPage has an overall uptime average of 99.92%, since Sept. 2005. This gives them an industry rating of Excellent. Their best monthly performance is 100% which they hit nearly every month. Their worst performance to date was in October 2013, when a data centre outage lasting nearly an hour brought them down to 97.17% availability. So what do these numbers mean to you? How satisfied will you be with iPage as the host of your blog or website? Let’s see what some real iPage customers say. For the past six years, customer satisfaction has averaged 3.78 stars out of 5, or 75.67%. For the most recent 6 months, iPage customers have given the company an average rating of 3.69 stars, or 73.86%. These ratings come from more than 600 customer reviews. Out of those, exactly half gave iPage 5 stars, 14% gave them 4 stars, 9% awarded them 3 stars, and 27% of reviewers gave them 2 stars or less. Positive comments seem to focus on how easy it is to set up and manage a website using the control panel. There is also strong support for iPage pricing, which is lower than nearly all other hosting providers. Customers are strongly in favor of the money-back guarantee they can invoke anytime. Many people were also happy with the long-term reliability and uptime of iPage’s servers. On the downside, some reviewers found iPage support could not solve problems with their service. Others report difficulty with automated renewals and billing errors. There are a number of reviews that cite long wait times when contacting customer support, and then ending up with a call centre in India, instead of the North American support staff. On balance, it appears their satisfaction rating of about 75% accurately reflects the comments left by reviewers. Of course, you can read all 620 reviews right here, at webhostinggeeks.com/user-reviews. Now I’m going to go to the iPage site, register a domain name, and purchase 1 year of iPage Essential service. I’d also like to see if it’s possible to have them pre-install WordPress for me. But remember to sign up from the Web Hosting Geeks site. Hosting companies like iPage always give the best online deals to Geeks visitors, so to get any current specials, go to webhostinggeeks.com/providers/ipage and click this green button. We’ve seen this page before. Now we’ll click the Sign Up button to create and activate a new account. The first step is to provide a domain you wish to use. You can either use a name you already own, or you can register a new on here. Like this. If the name you want is available, you’ll be taken to the next page to enter billing information for your account. I’ll just do that now. Now, we get to select a plan from this dropdown, currently one, two or three years, and I’m going to take one year. There’s a little smoke & mirrors here about all the great stuff you’re getting; the only things that matter are the guarantee and the free domain registration. The rest is pretty standard. So now we get to the first upsell. You can switch plans to WordPress Essential for an extra three bucks a month; add the security and performance enhancements; integrate some Google apps, ‘though you can get most of these through your browser anyway; automate website and data backups; and use the goMobi to optimize sites for mobile users. For now, I’m happy with the free version of Sitelock that’s included with the plan, but I will subscribe to their automated backup service since I’m not that disciplined about doing regular backups. Okay, we’ve made our choices, so let’s hit the check out. On the next page, iPage ask for a little information about how we plan to use their services and build our sites. I think that if you answer these questions honestly, it might help iPage setup your account, but I don’t actually know how they use these answers. Maybe we should give their support line a call and ask them that. Of course, you can also opt out of this questionnaire if you want to. For now, I’ll fill in what I know and Submit it. And now, more opportunities to buy stuff. You can get an SSL certificate for $40 a year... you can buy additional domain names… or you can just say “no thanks” and you’re done! This page shows us the progress of our account setup, details of our order, and gives us a chance to look at some short tutorial videos. Once the lid goes on the gift box up here, it’s finished. You have to look carefully to notice the “Log In” link right here. Click it to log in to your account and create a password and a security question. Don’t forget to accept the Terms of Service right here. When we click Continue, we’ll go to our Control Panel. Ah, but what’s this? A nasty popup trying to sell me an SSL certificate. Duh, nuh-uh! And then a plea for more demographic data. But if you scroll down, you’re already in the vDeck Control Panel, so since we’re here, let’s have a little tour. iPage uses a customized version of the popular vDeck control panel. Just as with other portals like cPanel, it puts all the tools and information you need to manage your websites in one convenient place. In the iPage version, you get a Quick Start section at the top that lets you jump straight into your website editor, add mailboxes, and create a new domain. ‘Walk Me Through’ is another useful feature that presents a list of common tasks available through the control panel. Clicking an item in the list either takes you to an explanation in the Knowledgebase, or shows you step-by-step notes as you actually do the task. Very helpful. You can jump into six sections of the Control Panel from this menu. The sixth one (Account) is way over here on the right. Here’s the tour. The Website section is where you’ll start, to build your site, install apps and do backups. Here is where you install Wordpress for example. And MOJO Marketplace is where you can access more than 100 one-click installers for major apps. Note that iPage uses their own MOJO Marketplace, instead of the more popular Softaculous and Fantastico script installers. Next, you can setup your email accounts, and manage mail and spam settings. The Domain section lets you register and manage domains, while Marketing gives you tools to create and run your web ad campaigns. Additional tools include the Scripting PowerPack and SiteLock security suite. And the Account section is where you manage all your user, account and billing information. You can customize this sidebar to show more things, like how much storage and bandwidth your account has consumed. To learn more, check out the Knowledgebase. Overall, iPage Hosting seems to offer good quality and decent value for the money. They have one, low-priced shared hosting plan, and two shared plans that are optimized for WordPress. Website, account and domain management is handled through the vDeck control panel. Customer satisfaction is covered by an Anytime, money-back guarantee, but make sure you read the User Agreement so you know what that means. Server availability is very good, with very few outages for the last two years. On average, they have beaten the 99.9% industry benchmark since 2005. The majority of customers are satisfied with their service through iPage, and give them a 75% approval rating. Buying a hosting plan was easy and it only took a few minutes to register a domain and create an account. Tech Support was prompt and friendly; however, they tried to upsell us. Through our personal experience with iPage, we feel they deliver reliable web hosting services and excellent value. We recommend them to you. Thanks for watching. Join us for more reviews of all the top web hosting services, at WebHostingGeeks.com.